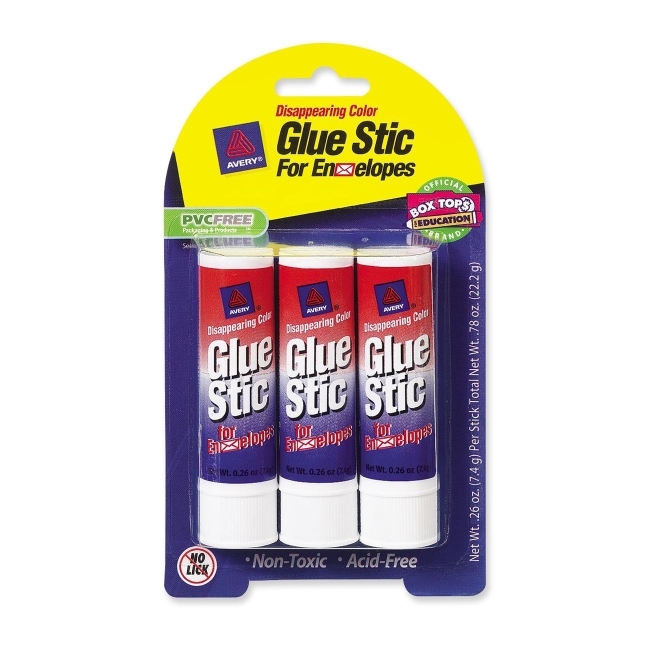 Glue Stic offers a quick, sanitary way to securely seal envelopes. Disappearing color goes on purple and dries clear. Smooth and easy to apply. Washes out of clothing. Nontoxic. ACMI approved.